Tactical LED Flashlights: A Trend, or Here to Stay? Almost everyone will need a flashlight at some point in their lives. 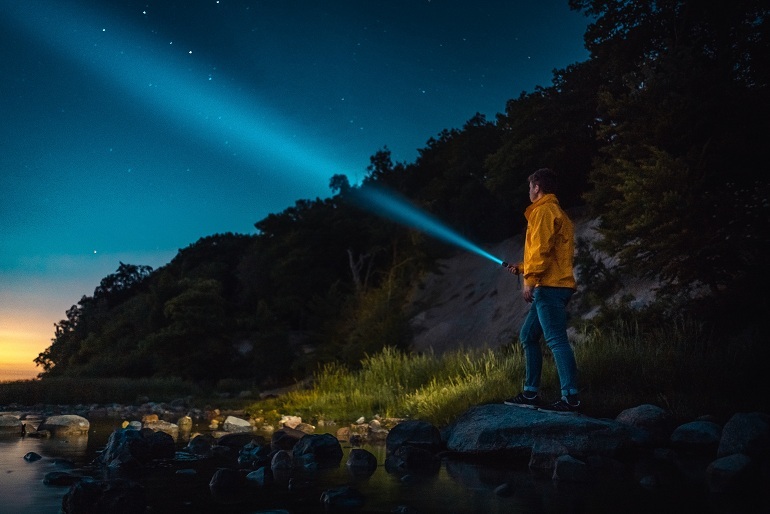 However, there are some people, like hunters, hikers, military and emergency personnel, who need them on a regular basis, and they need more out of their flashlight than the average person. This is where tactical LED flashlight models come into play. Tactical flashlights are built to last, shine very brightly, and generally have much higher standards than conventional flashlight models. A common misconception that a lot of people have about tactical flashlights is that they’re big, bulky, and reserved for the military, law enforcement, and security personnel. However, that isn’t the case. Technology has advanced significantly and nowadays, you can find a tactical LED flashlight that’s compact, yet still incredibly powerful and rich in features. The biggest advancement is LED technology, which has made flashlights become lighter, smaller, more energy efficient and more powerful. However, the question remains. How do you buy the ideal tactical flashlight? Well, there are a couple of important factors to consider, including cost, power source, and light output. Tactical flashlights come at different prices, but it’s recommended that you don’t go for a model that’s cheaper than $50, as that would mean that it’s made using low-grade materials and it won’t be able to withstand the elements. As far as light output goes, there are three important aspects to consider: lumens, temperature, and beam distance. The lumens represent the brightness that comes out of the flashlight, while the temperature represents the colour of the light. Colour temperature is measured in Kelvin. At the low end of the spectrum, you have warm white which is around 2600-3500 Kelvin. Cool white is at the higher end of the spectrum, at around 5000+ Kelvin, and between 3500 and 5000 Kelvin – you have neutral white. As briefly aforementioned, lumens represent the brightness of the flashlight. You typically want something that’s in the 200-700 range. And lastly, the beam distance is how far the flashlight can illuminate, or in other words, how far you’ll be able to see in front of you. However, some models have multiple modes and can focus their beam or spread it out. And lastly, you need to consider the power source. Some batteries last longer than others, some give more power than others, and some are more readily available. However, if you want to make the most out of your tactical flashlight, you should consider lithium or alkaline. You’ll find rechargeable and disposable lithium and alkaline batteries, and your choice between the two types will depend on how often you use the flashlight.